Born in Northampton, Malcolm was a product of Diamonds youth set up. 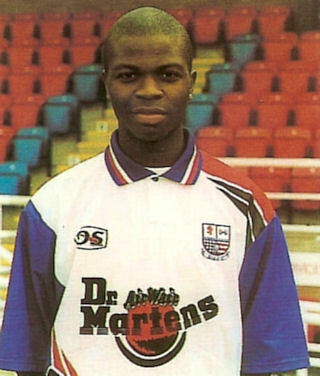 The young striker made five substitute appearances in the 1997 / 1998 season, and went out on loan to Aylesbury United in February 1998, to gain some first team experience. The following season, he had another loan spell, this time with Stamford. Although Malcolm made 9 appearances, only once was he in the starting eleven, playing In the Hillier Senior Cup Final win at Raunds Town in April 1999. He had his fair share of injuries, which restricted his chances of gaining a first team place. 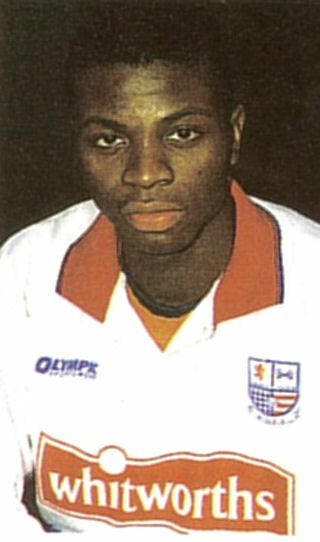 He was released, and joined former Diamonds assistant manager Billy Jeffery at Stamford, where he remained until the summer of 2003. He spent the following season at Kings Lynn, before moving to Corby Town, where he helped the Steelman to gain promotion in the 2005/06 season. In August 2006, he joined UCL side Cogenhoe United, before joining Nick Ashby at Wellingborough Town in November that same year. The following season was spent back at Cogenhoe United, and was named in the squad which played Diamonds at Nene Park in the Hillier Senior Cup tie. He announced his retirement in August 2008 at the age of 29.